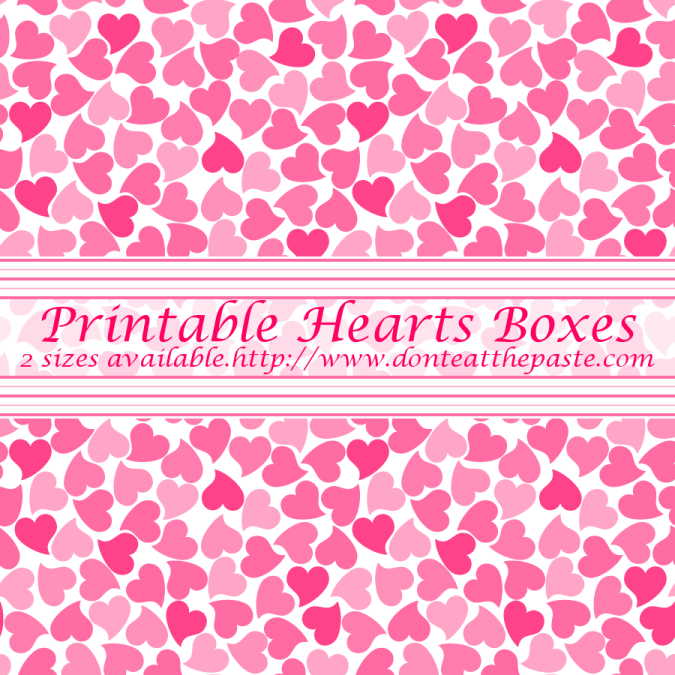 I hope you enjoy this pair of hearts themed boxes. After making the design I thought "You know, this might look really good in camouflage colors." So I'm going to try that tomorrow! 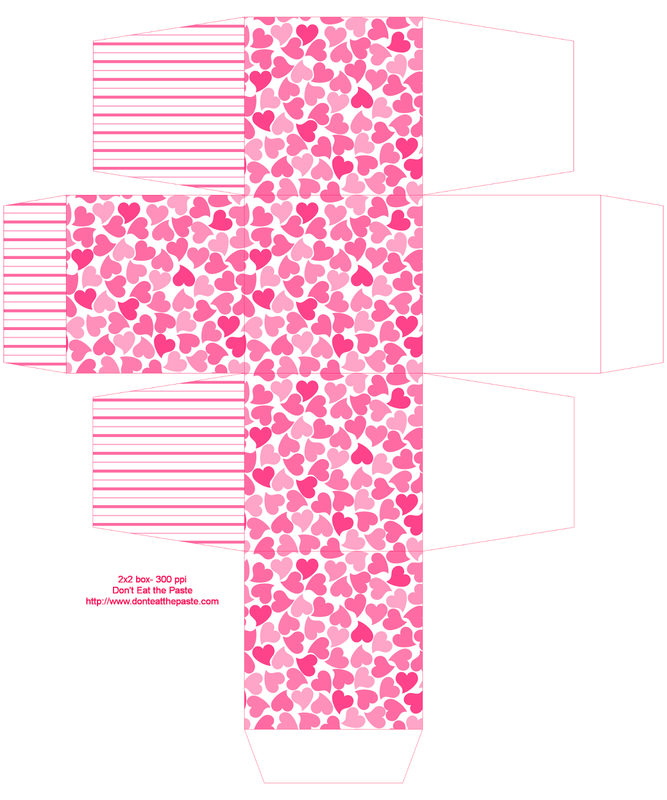 These printable gift boxes are 2x2x2 inches and 3x3x1 inches. 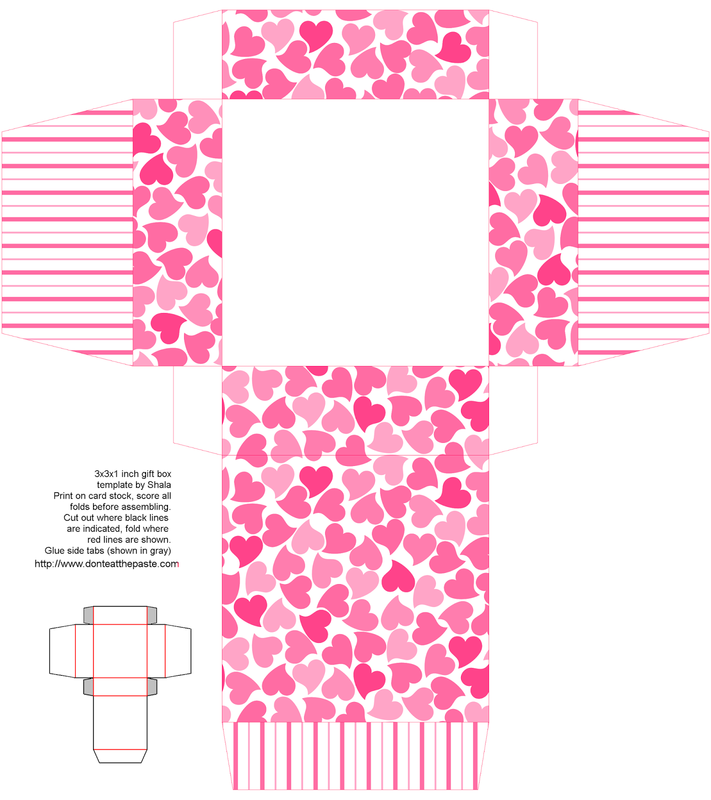 Click on image for larger version, print on card stock, cut out, score folds, fold, glue! I think they would be nice filled with candy or other small gifts for Valentine's day.